After a few relatively calm years in mobile tech, 2019 is shaping up to bring some real innovation in the form of next-gen form factors, camera prowess, and connectivity standards. This is why, following our roundup of the best phones to expect this year, we touched our crystal ball to tell us which will be the best new features and technologies that those handsets will attack our poor wallets with. Not to rain on the "all-screen" parade but it's been a hard pregnancy to conceive the best screen-to-body ratio possible, starting with wide notches then waterdrop ones, and culminating with dual-screen phones. How about we complicate things even further, and introduce a device that can fold in two when you need it for smartphone functions and unfurl into a tablet screen size for media consumption or browsing? You got it, said Samsung, eight years after the first bendy screen prototypes emerged in its labs in 2011. Not only that, but LG, Huawei, Xiaomi and even Apple are now said to explore the new horizons that the foldable form factor might bring. Google is on board with full Android support as well, so we can't wait to see if 2019 will turn into the "year of the foldable phone" before anything else. Both Qualcomm with its Snapdragon 855 chipset, and Samsung with the Exynos 5100 modem, will be setting a fire under the 5G network rollout this year, and the first handsets with the next-gen connectivity standard are expected in the first half of the year. Xiaomi will try and beat everyone to the punch, but Samsung's 5G-enabled S10 X is where all eyes would be, as this one is also expected to land on Verizon at some point. Granted, this has already seen the light of day in a commercially available phone, but Samsung's Galaxy S10 series is expected to bring punch-hole display mainstream, as just the next installment in the "all-screen" saga. 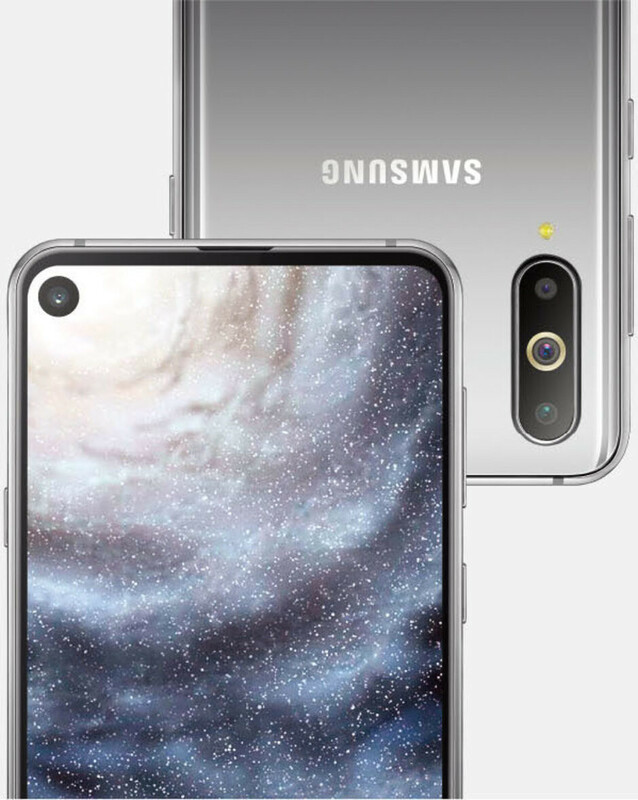 Given that the S10 is expected to sell in the tens of millions, the punch-hole design is likely to become ubiquitous for those makers that want to brag with their screen-to-body ratio without resorting to a slider, dual-screen, or motorized camera designs, let alone those pesky notches of yesteryear. 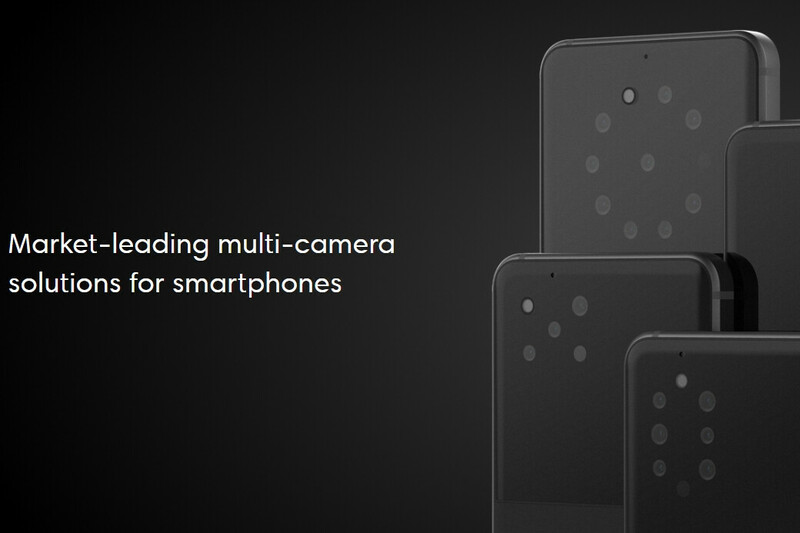 If you thought that Samsung one-upped everybody with the quad-camera Galaxy A8, the Nokia 9 PureView may bring a penta-camera kit very soon, and none other but the top-end Galaxy S10X with 5G connectivity is expected to sport four flagship-grade cameras on the back as well. Apple won't be leaving its camera cred in the dust, either, as it is heavily rumored to introduce a triple-camera iPhone in 2019. Now, whether those three cameras will be arranged in the infamous square as the first leaked prototype, or horizontally like in the second you see here, is a matter of design preferences, but the first tri-camera iPhone may very well become a reality this year. Given that Samsung is expected to enter the computational photography game with the S10 as well, we can chalk 2019 off as the best year for mobile photography yet, and that's without knowing what Google's next Pixel will bring to the table, either. Again, it's out there but phones like the S10 will make this superior in-display finger scanning tech ubiquitous. It can work through thicker cover glass than current solutions which are arguably slower and more cumbersome than fingerprint readers that aren't incorporated in a display. Arguably, that has been the reason behind Samsung's wait to adopt the in-screen finger reader solution so far. Moreover, these are expected to become even better by allowing you to tap anywhere on the screen with your thumb instead of a tiny predetermined space, as you can see in Xiaomi's demo below. The new UFS 3.0 (Univeral Flash Storage) standard promised to double the memory bandwidth of UFS 2.1, which is the current go-to standard for flash storage in the mobile space. Samsung's head of mobile memory product planning Jay Oh revealed that the company will launch its next wave of UFS 3.0-enabled devices in the first half of 2019. Though the Galaxy S10 itself wasn't mentioned by name, it is a very likely candidate for the tech to debut on. 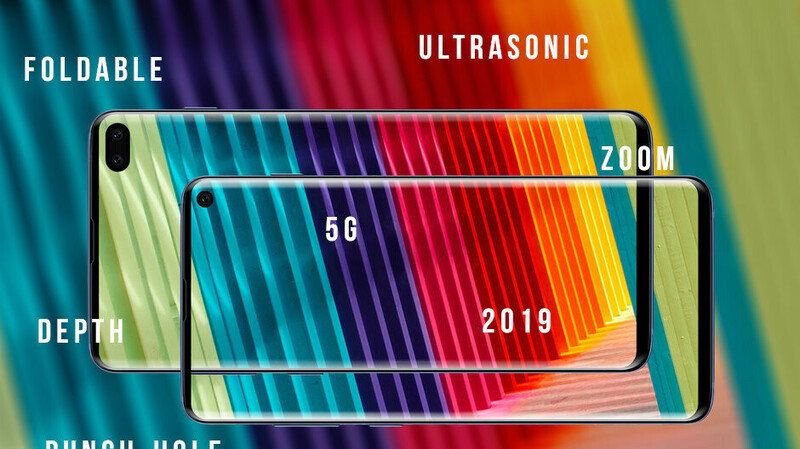 In addition, phones like the top-shelf S10X model with 5G connectivity are expected to sport models that have 12GB RAM and 1TB of storage. 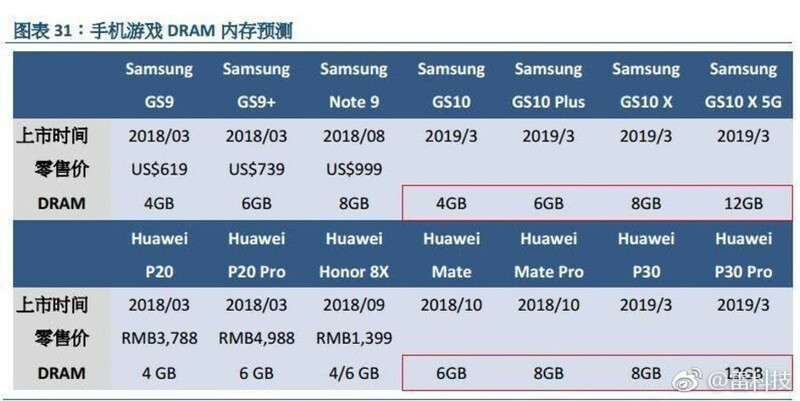 If anyone can pull this off, it's the memory kingdom of Samsung, and yet the first phone with 12GB RAM will be released very soon, way before the S10, which, however, may carry the title "the world's first 1TB phone," if that's what rocks your boat. The periscope-y 5x optical zoom tech of Oppo, developed with technology from Corephotonics, has now turned into a 10x hybrid zoom effort and is ready for mass production into phones. The OnePlus 7 is a prime candidate, but we wouldn't put it past another flagship coming from behind the Great Wall to land 10x zoom first. In addition, the top-shelf Galaxy S10 model, as well as Apple's XS Max successor, are expected to ship with 3D depth-sensing time-of-flight (ToF) cameras on the back. Such cameras are already present on a few models from Chinese manufacturers but they aren't exactly well utlizied there yet, so we can't wait to see what applications Samsung or Apple may have found for said ToF cameras. Smartisan released a 1TB phone many months ago and the vivo nex dual display uses its time of flight camera to offer a better and cheaper solution to face Id. 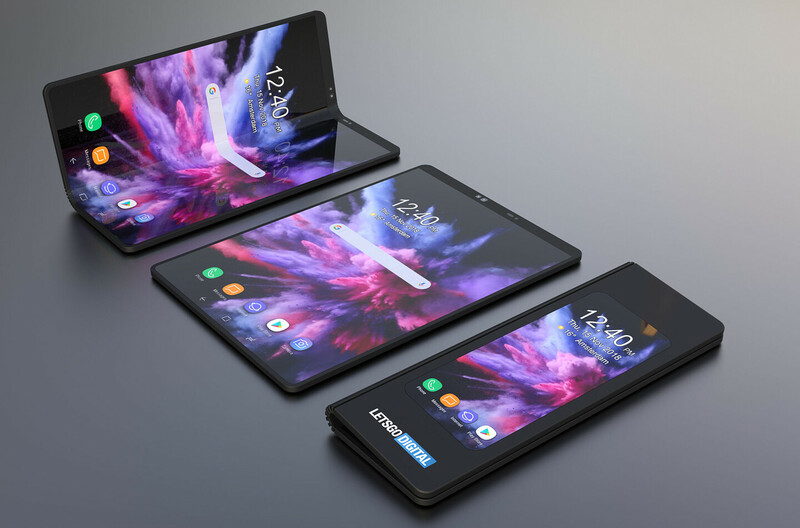 Foldable and 5G wont be the best though. It will take a few more years for them to be good. Agreed. 2019 will be a transition year. That's goes for pretty much any innovation. am i the only one that still thinks the hole in display is literally just a notch that has a little color around it???? me 2 = i hate notch or hole. i don't understand, why they can't understand that we don't want distract from hole or notch when we watching movie or play game. The camera is interrupting the screen that's for sure. I agree. All screen almost bezel less phones is all I use nowadays. Nice, what are you using? Vivo nex s as my daily driver and oppo find x for special occasions lol to be honest, any flagship in this day and age can be a real good daily driver for anyone. I won't let anyone say otherwise. The problem is, will that person take the time to learn the in and outs of the new phone and it's user interface. If you buy a phone with a willingness to accept it then you'll 100% end up loving the device no matter the shortcomings. I predict in a few years time removable storage and headphone jack will be back and they will call it a 'feature'. The s10 line will have removable storage, headphone Jack, bigger batteries and likely one variant with a flat screen. I guess it's the phone of your dreams then?